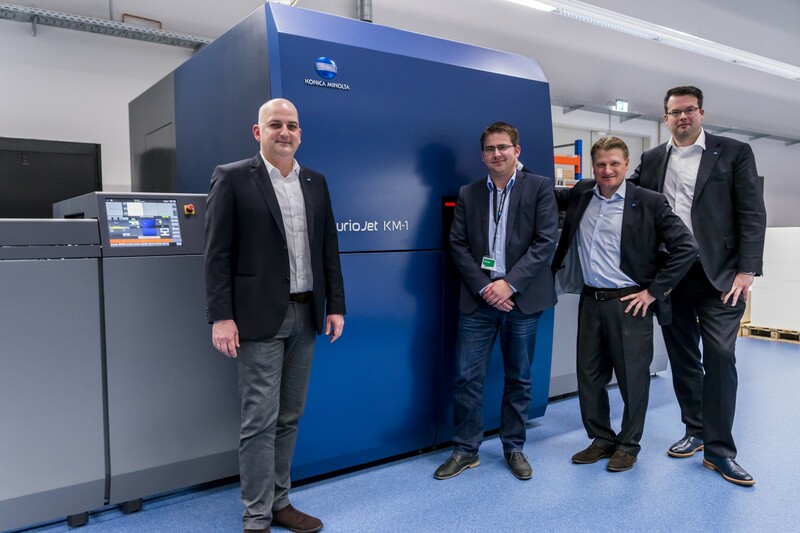 Germany printer Rehms Druck has selected AccurioJet KM-1 press from Konica Minolta for its first investment in B2 inkjet. The AccurioJet KM-1 B2+ press is designed to provide a wide range of media handling on both coated and uncoated substrates ranging from 0.06mm to 0.6mm. Konica Minolta said that the sheetfed press allows Rehms to handle direct mail and packaging such as folding cartons, as well as a range of other key applications. As part of a deal signed in February, Konica Minolta will also provide support services including marketing planning, application development and insight, and on-site training for key operators to Rehms Druck. Konica Minolta Europe market development head Mark Hinder said: “Our teams have been heavily involved in identifying and assessing how the AccurioJet KM-1 could not only integrate into Rehms Druck’s existing Kodak PRINERGY workflows, but also through variable data streams. The AccurioJet KM-1 B2 digital inkjet press was launched officially by Konica Minolta during drupa 2016 event. Image: Officials from Rehms Druck and Konica Minolta. Photo: courtesy of Konica Minolta Business Solutions Europe GmbH.